​Daiichi Sankyo is a global pharmaceutical company with more than 100 years of scientific expertise, 30,000 employees, and services in more than 50 countries around the world. Over the course of a month, five geographic offices were successively stood up and extensively tested. Small variations in firewalls, AD version, and Windows server versions caused many variables that were carefully reviewed and troubleshot. It was an excellent experience to work with so many professionals with different subject matter expertise. 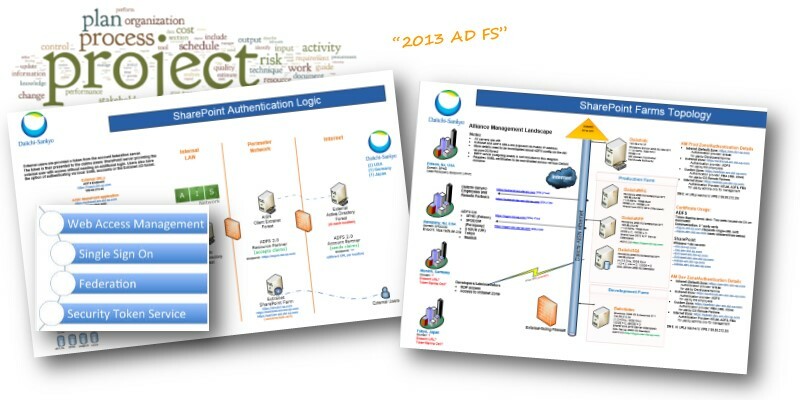 ADFS (Active Directory Federation Services) is a software component developed by Microsoft that can be installed on Windows Server operating systems to provide users with single sign-on access to systems and applications located across organizational boundaries. Users have a seamless single sign-on experience between the internal network and the cloud-based SharePoint solution, and management overhead is minimal as the only maintenance required is a certificate update every few years!